Hybrid Camera Revolution: First Sony A7s Reviews Rolling Out - Better than the GH4? 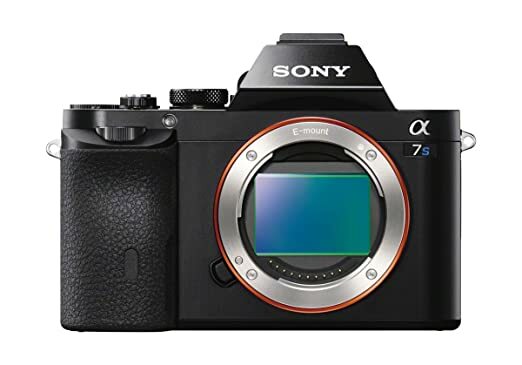 First Sony A7s Reviews Rolling Out - Better than the GH4? Even though my GH4 will be arriving soon, I am still interested in how well the Sony A7s performs. I was impressed by what I was able to see of this camera at NAB - but it's a challenge to know what a camera can really do without reports from the field (or, preferably, shooting with it yourself) - so I will probably rent one and compare it to the GH4 at some point. I always enjoy Chris' reviews. Lots of energy - and he knows his way around a camera menu. But he's not a video guy, and, in my view, he misses a couple of significant issues in his short comments on the A7s versus the GH4. He mentions the obvious stuff, of course - the A7s' unmatched high ISO capability and apparent DR advantage over the GH4 at 1080p - and he counterbalances this by mentioning the A7s' 1080/60p maximum frame rate, lack of internal 4K and lack of 4K 10-bit output - but, in my view, he glosses over a couple of significant differences between the cameras that many shooters care about. First - both the EU and the non-EU versions of the A7s stop recording after 30 minutes. Followers of this blog and my forum comments know that I consider this to be a significant limitation. Many non-EU Canon, Nikon and Sony users buy these cameras expecting to be able to record religious services, wedding ceremonies, plays, lectures and other events - and are surprised when their cameras shut down after 12 to 30 minutes. This is not a deal breaker for most narrative and documentary shooters, but for people who want to get rid of their camcorders and carry just one camera (this is the Hybrid Camera Revolution, after all), this is a big deal. The second major issue is that this is not a "world camera". Unlike the GH4, the A7s is region-locked, and does not allow switching between NTSC (60Hz) and PAL (50Hz) frame rates. Frustrating for shooters who travel extensively or who have clients or viewers in other regions. And, of course, the GH4 is $800 less than the A7s (although, I wouldn't be surprised if the price gap narrows over the next few months). All of that said, the proof will be in the pudding. Shooters are starting to produce some incredible 4K work with the GH4 (please see the "GH4K" group I moderate over on Vimeo). We'll see what the future holds for the A7s - it's still a tremendous camera. GH4 4K internal, A7s sees in dark. Both cheap cameras! Yet people still whinge? Never been a better time technology wise to be a shooter!! As usual, if anything here has helped you to make a buying decision, please click on the links above or the display ads below and in the margins. It won't cost you anything extra, and it will help to keep these blog posts coming. And, for the latest hybrid camera news, views, tips and tricks, please follow HCR on Blogger on YouTube, on Google+ and now, on Twitter! Thanks so much for your support. New 4K Panasonic FZ1000 - Sony RX10 Killer? Zacuto Control Grip - ENG Camera Killer? Flycam Flyboy III Stabilizer - Less Than $60!